Turn that music up and dance your heart out because it’s National Dance Day! On the last Saturday in July, National Dance Day is celebrated to raise awareness and to encourage Americans to embrace dance as a fun and positive way to maintain good health and combat obesity. At Customized Girl we have a huge following of dancers and dance studios and we love nothing more than to promote a great cause. Our talented designers are always adding new and trendy dance art but for this special occasion they’ve put together the most amazing and original artwork you will not find anywhere else. 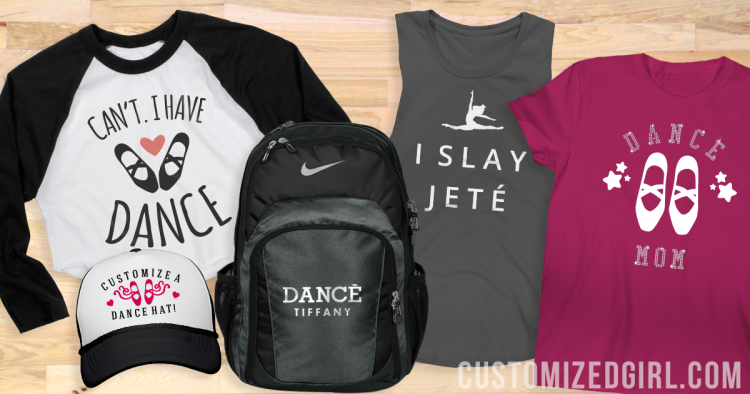 Celebrate National Dance Day with custom dance bags and shirts! 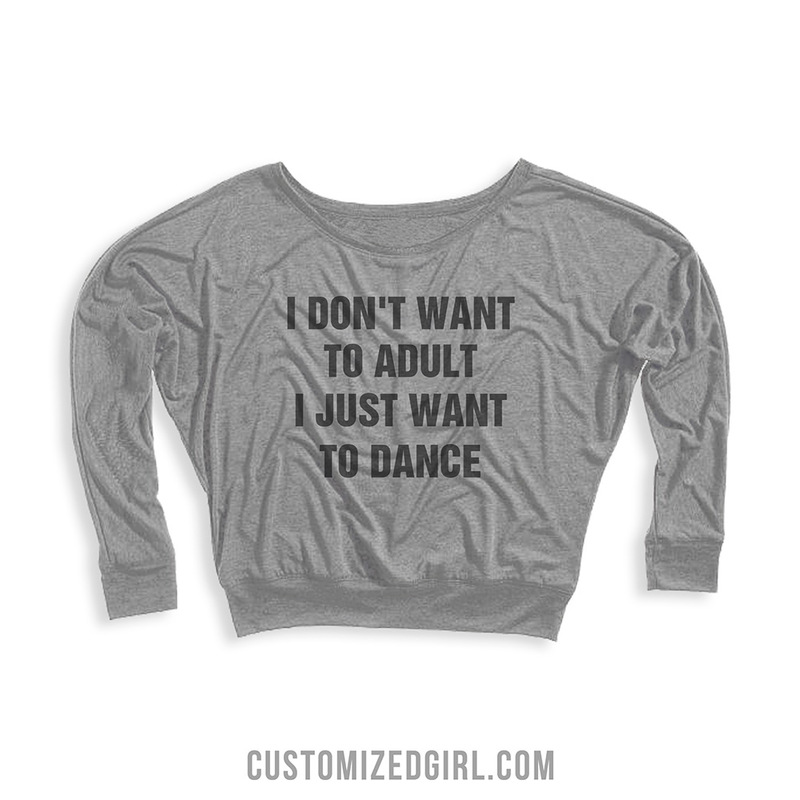 Our printing methods for our custom dance shirts include state-of-the-art digital printers printing high quality ink directly onto your item. This process offers several advantages over screen printers that include a full range of colors at no extra cost and not set up fees. While all of our custom dance bags are decorated with a thin, precision-cut film that is then fused onto the bag with heat. It’s surprisingly easy to add your own text, font, and art. And the best part of all: no minimums. This is a perfect solution for dance teams and dance studios. You can buy 1 or 1,000. We’ll be happy to print it and ship it. 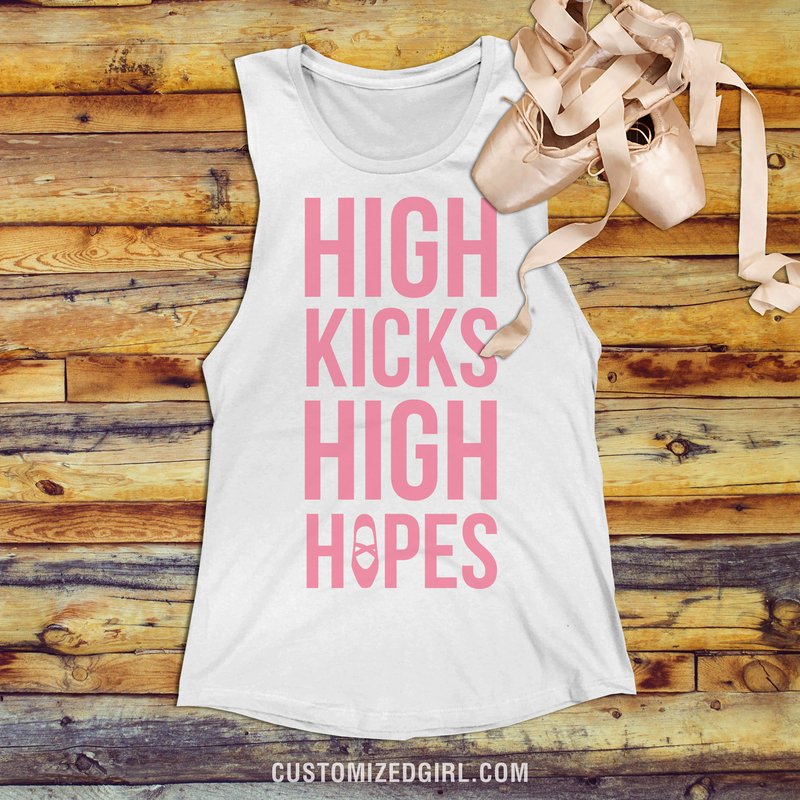 Do you own a dance studio or need help raising funds for your dance team? Learn how Customized Girl storefronts can help you earn money for every design you sell! As many know the football season is strenuous and sometimes feels like it will never end. Late nights, lengthy bus rides, and unpredictable weather can be down right rough. Playing all season long in itself is a tough accomplishment but to be the team’s support system is the hardest job of all. When it comes down to the ultimate fanatic there is no more die hard fan than your mom. She feeds you, gets those awful stains out of your uniform, and is the reason you are alive. Football moms cheer the hardest and yell the loudest. When you get on that field at game time she becomes a whole different person. That is why moms are our biggest fans and love nothing more than to show their support with a custom football mom shirt! Moms give us everything so they deserve nothing but the best in return. 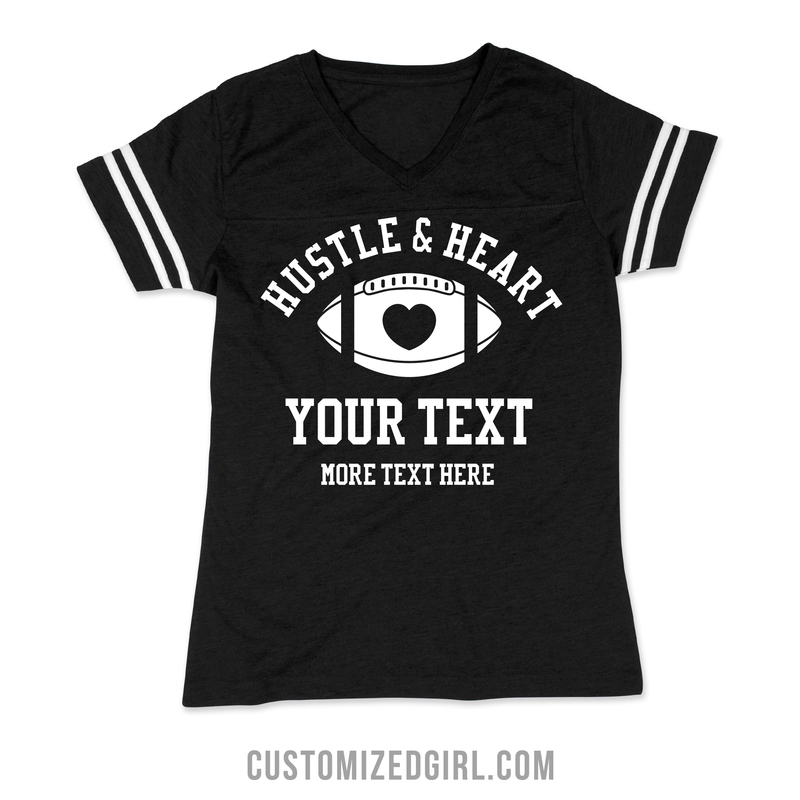 Customized Girl has the best gallery of football mom related designs that you won’t find anywhere else. Trendy, funny, or blingy – we have designs for every type of mom out there. Add your favorite player’s school colors, name, and number with our easy to use design center. Take any text and add a line of rhinestones for just $6 per line. 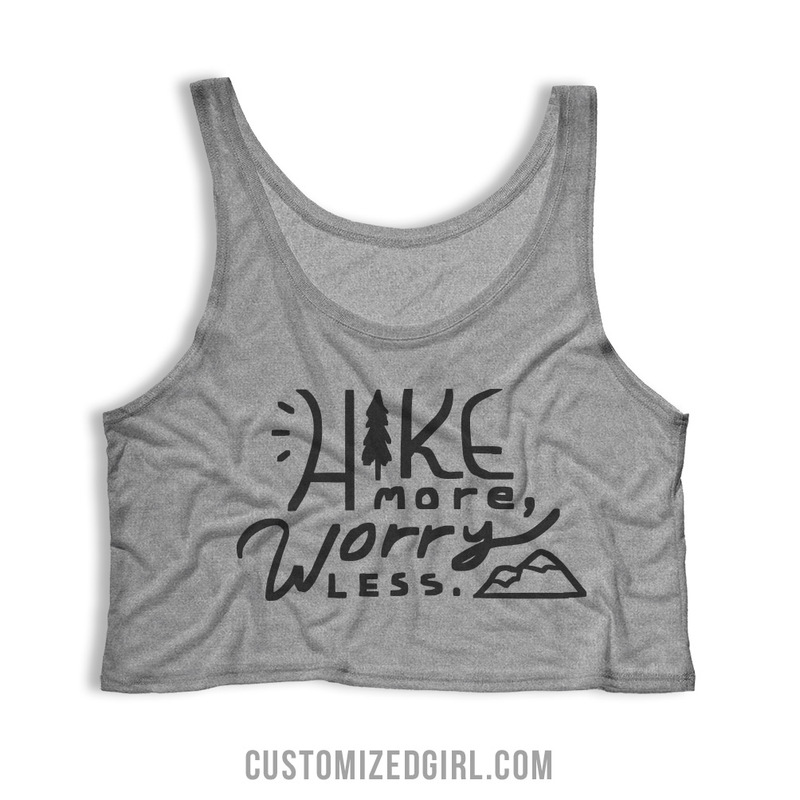 But that’s not the only reason Customized Girl is the best retailer for sport moms. We have a wide variety of Misses and Flowy shirts and products that are specifically for sports like our Championship Jacket, Custom Jerseys, and Raglan tees. We are constantly adding new products that are perfect for any of our trendy mama’s and without a doubt you’ll find something that fits for your personality. Mom’s also have the option to take any design and go all out by creating matching custom hoodies, scarves, blankets, and bags. No one will have any question what player you are cheering on! Customized Girl is also a great source for high school boosters fundraising. Create a custom apparel storefront featuring your school’s name, colors, and team mascot. Royalties earned can then be donated to additional costs during the season. Interested? Learn more on how Customized Girl storefronts can make a difference for your team! For those liquor connoisseurs out there, July 24 couldn’t come any sooner. Never fear, tequila day is here! This particular day has come to be known as National Tequila Day, and many Mexican restaurants and bars celebrate with the tastiest drink specials. 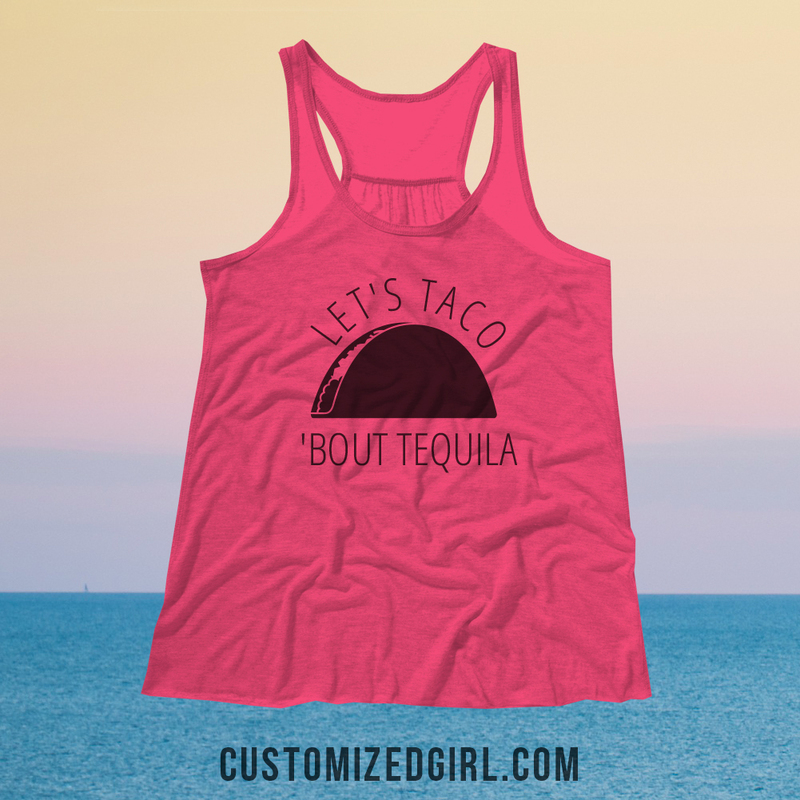 To celebrate this tipsy holiday Customized Girl has designed festive and one of a kind tequila shirts! Our designs incorporate everything we love and associate with tequila. We’ve even thrown in a few hilarious designs that illustrate are not so favorite things about tequila. The best part about our designs is that you can take any one from our gallery and customize it onto a tee, tank, or accessory of your choice. Better yet, start from scratch with a design that is truly unique and specific to your drinking habits. 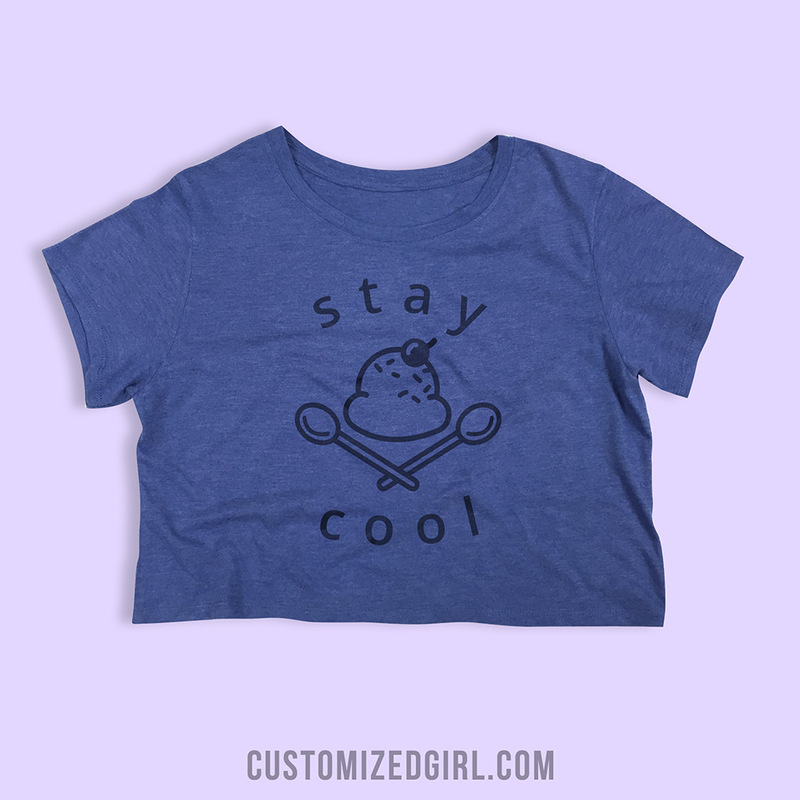 Customized Girl’s design center makes it easy to create custom apparel for any event or group setting you may be attending. So why hide it? 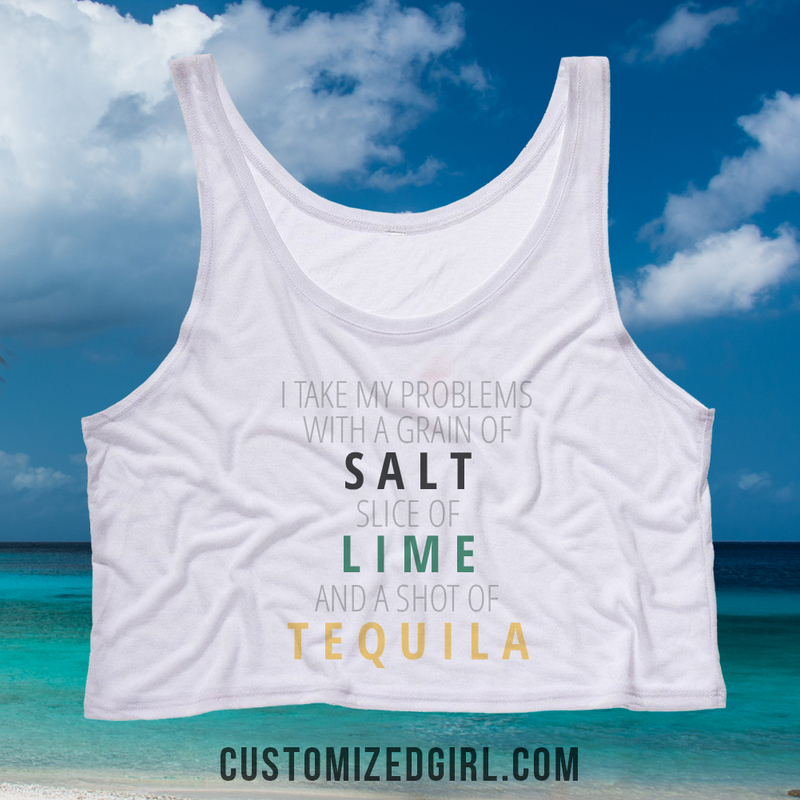 Take life with a grain of salt, a slice of lime, and a shot of tequila – show your love for tequila with a custom tequila shirt! Cheers to National Tequila day and boo to working tomorrow! Every girl loves a flashy and high quality top but sometimes finding that perfect embellished design can be difficult. 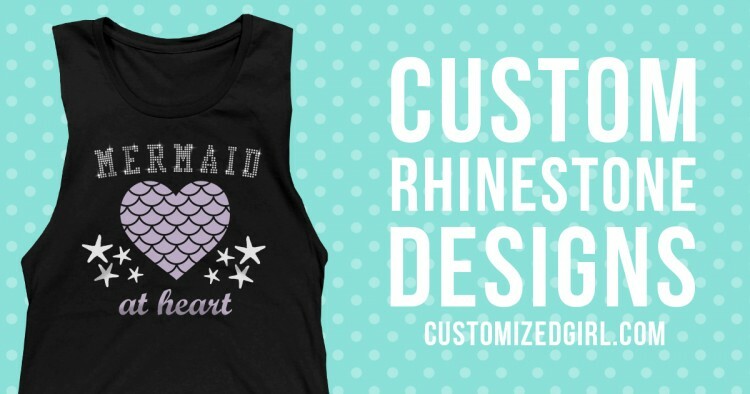 Customized Girl has the answer to your problems: rhinestones are a girl’s best friend. Bling, bedazzled, rhinestones – whatever you may call them, custom rhinestone shirts are a great way to make a statement. With Customized Girl’s Design Center you can add both rhinestone text and rhinestone art. To add rhinestone text, navigate to the Add Text tab then click on the Text Style drop down menu. 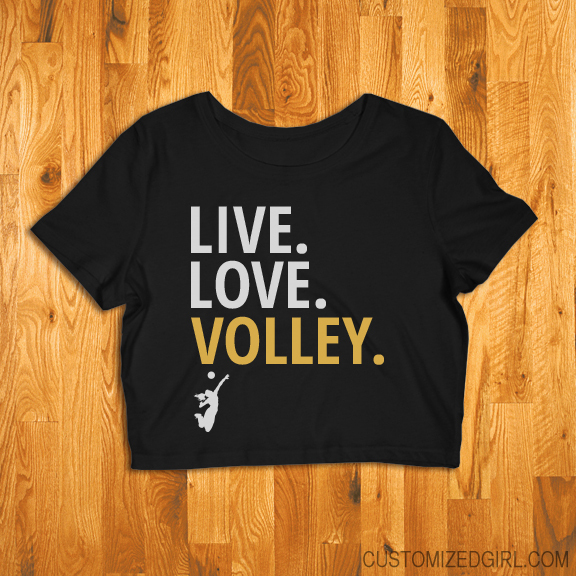 We have three font styles to choose from when designing your custom rhinestone shirt – sans, scripty, and team. Choose one you like and add your text! Maybe you don’t want rhinestone text but art instead. You can add rhinestone art by navigating to the Add Art tab. In the Category drop down menu, choose Rhinestones. It’s the last one on the list. Rhinestone Text is $6 per line of text and Rhinestone Art is $6 per piece of art. If you would like us to create a custom piece of rhinestone art based on your own idea, we would be happy to do so for a one-time fee of $25. We all know moms love to bling out in support for their favorite player during game time. A rhinestone shirt is the perfect way to stand out and lead the cheer. Our amazing designers have added several different rhinestone art With our huge selection of misses and flowy products, moms everywhere can show their team spirit in a more fashionable manner. You don’t have to be a mom to really enjoy in bedazzled apparel. Rhinestone shirts are a big hit among bride’s and her bridal party due to the consistent and classic look that it provides. We already offer unique and one a kind rhinestone text for everyone in the bridal party like “bride, maid of honor, bridesmaid, etc” but you can easily start from scratch or customize any design in our gallery. Choose your favorite and swap out the font for rhinestone text. You’ll truly sparkle on your last night out as a single lady or while you are getting ready on your big day. Rhinestones are a great addition to any design for any event or group setting. Shine bright like a diamond in your custom rhinestone shirt! For most, summertime means a chance to relax and be lazy. While that may be the case for some, it certainly is not the same for athletes. Summer is the time for practice because practice makes perfect. All that hard work pays off when the season starts and every player wants to play and look their best. When it comes to your game day swag you want to be the best dressed athlete on the field or court. 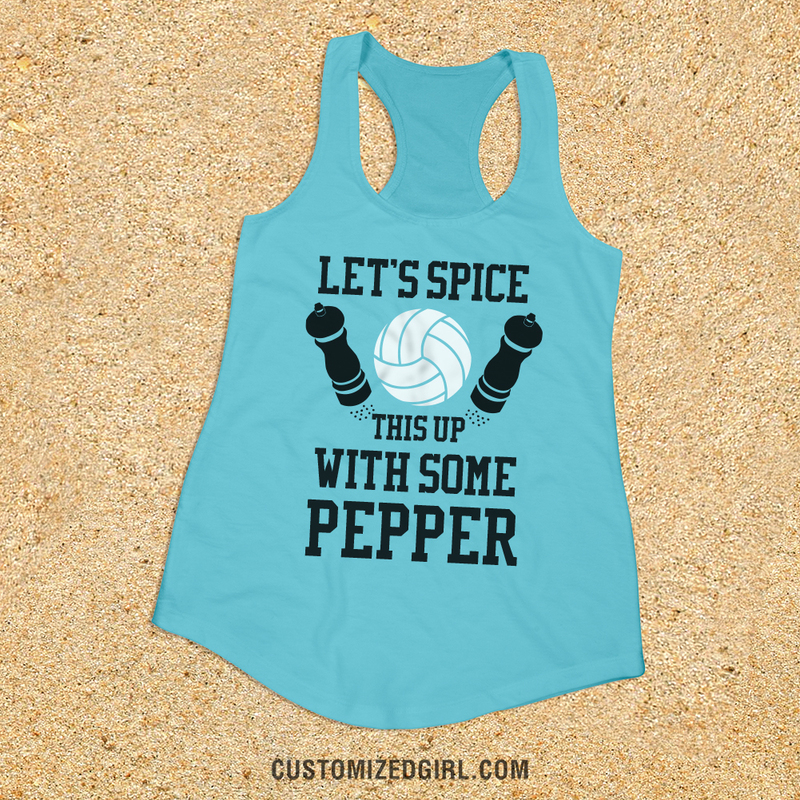 Get ready to talk that smack and be the ultimate team that everyone wants to beat with our epic volleyball shirts. Volleyball is a team sport, right? 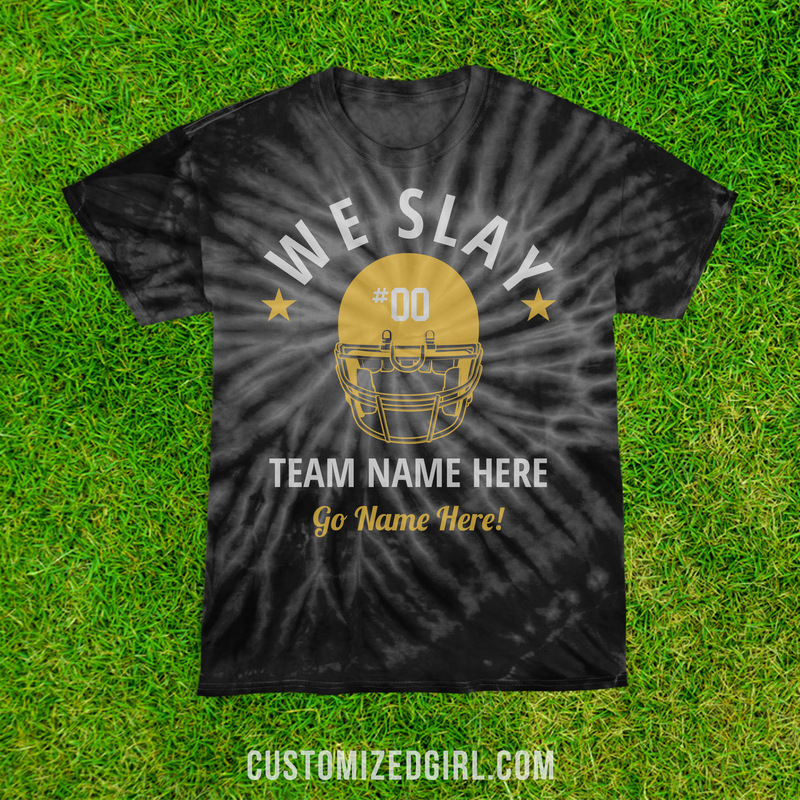 At Customized Girl, we make it incredibly easy to create matching shirts for everyone on your team with our names and numbers feature. Everyone has nicknames and catch phrases that they are known for on the court and this amazing tool let’s users create matching designs across multiple item styles. It’s as simple as choosing an item, creating your design with the names & numbers that will be printed on that specific item. Then add it to your cart. It’s really that easy! And once you add 6 or more items to your shopping cart a group discount is automatically applied. The more you add, the more you save! 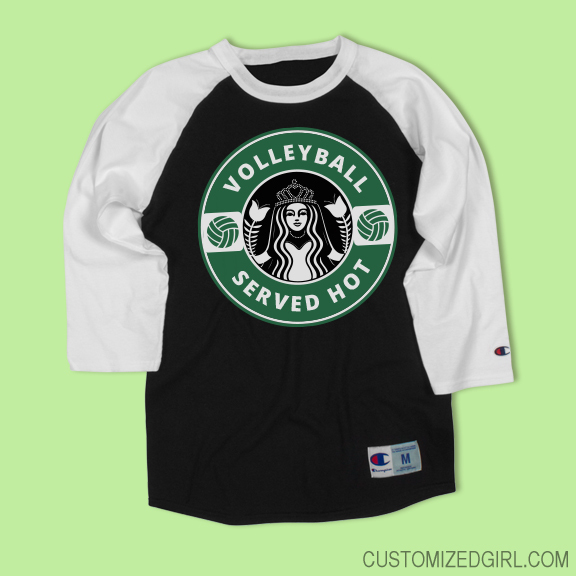 Serve it up to the competition and be the team that everyone wants to be with custom volleyball shirts! Don’t call it a comeback. Many individuals think tie-dye clothing started in the 60’s when in fact it was formed in India, Japan and Africa as early as the sixth century. While tie-dye shirts may be a thing of the groovy and grungy past, it will keep reinventing itself and be around for years to come. Tie-dye is resurfacing as a cool fashion statement for any occasion that can be seen on famous celeb’s and trendiest teens. The most popular way to wear tie-dye is in a text style tee with an effortless statement or quote. And that is why custom tie-dye shirts are so hot right now. Tie-dye apparel is better than ever due to new and improved technology that helps keep vibrant colors lasting longer and preventing them from that dull, faded look. Due to advanced printing mechanisms, new dying techniques lend a fresh perspective to more modern pattern options that we can then provide to our customers. These pattern options include pinwheel/cyclone, bull’s-eye, and breast cancer awareness. The youngest generation of statement makers are taking tie-dye shirts and redefining this hippie fad into a more modern, chic direction. Having the ability to customize any tie-dye style with your own art and text let’s these trailblazers create one of a kind apparel. With that being said, custom tie-dye shirts are great for fundraising, group events, school sports, family reunions and vacations. The bright colors combinations will make anyone stand out a sporting event or busy theme park. Customized Girl’s gallery is full of mind-blowing designs that are readily available for you to customize. Need help designing? No problem. Chat, email, or call our customer service and they would be more than happy to assist you. So what’s holding you back? 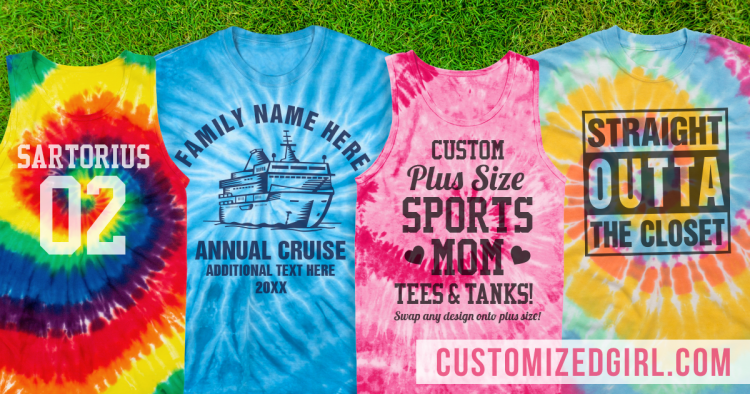 Make your next family vacation extra memorable or organize a themed fundraiser with custom tie-dye shirts! Congrats to our June selfie winner! With Father’s Day landing in the month of June we couldn’t think of a better selfie than with our one of a kind matching father son shirts. 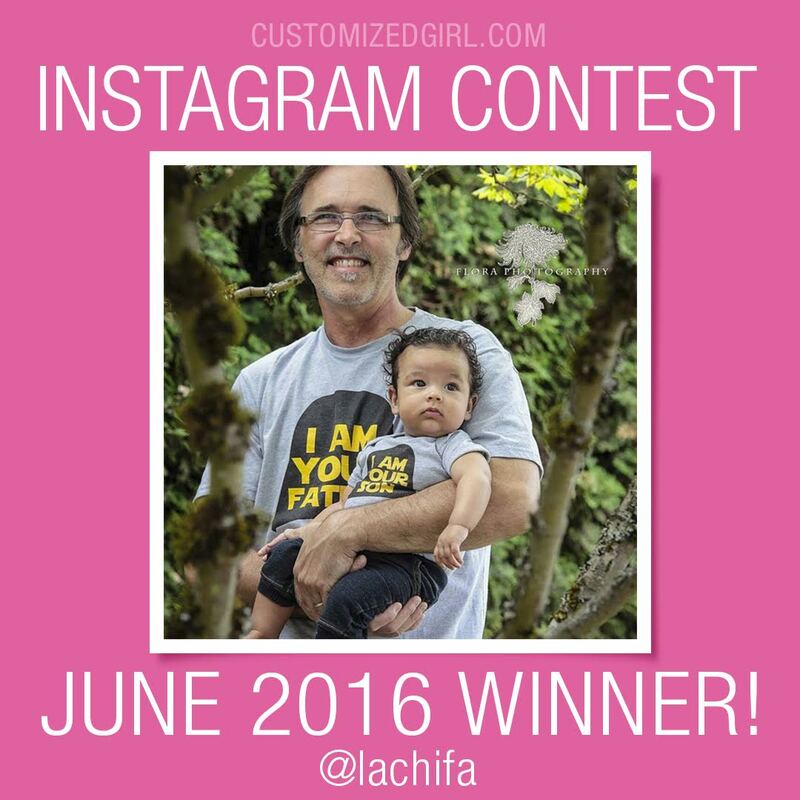 Our winner shows that creating custom designs for any event or occasion is super easy and even more adorable!